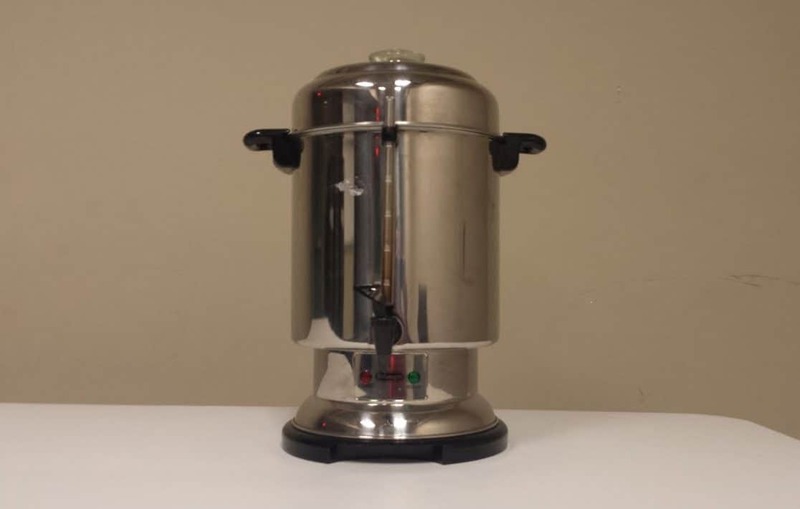 Home » The Best Coffee Urn On the Market Now! The Best Coffee Urn On the Market Now! Coffee. There is no other beverage that is so easily acceptable to the palette. No matter what part of the world you live in, no matter what cuisine you enjoy, and no matter what your personal preferences about food and beverages may be, coffee is a universally appealing drink that can improve one’s experience of any group event, business meeting, religious or charity activity. But while coffee is a universally loved beverage, coffee brewing itself tends to be very personal and intimate for most people. This is where the concept of a coffee urn comes in to make your day. 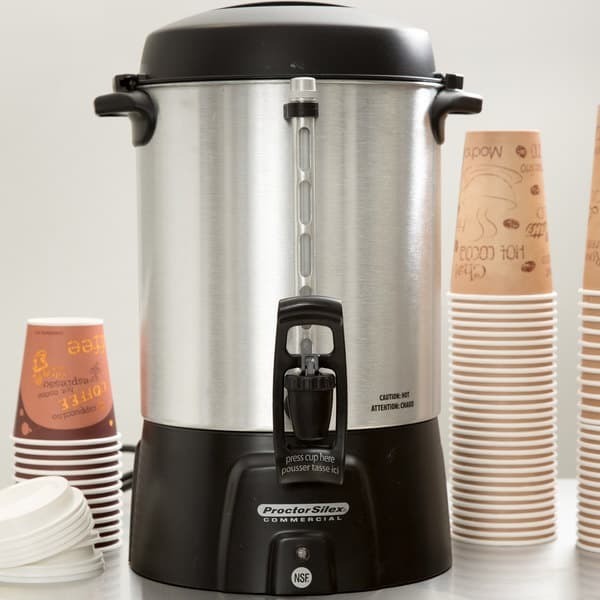 A coffee urn, by definition, is a type of large percolator that you use to brew coffee by continually cycling boiling water through the coffee filter on top using a drip motion by gravity until you reach the required strength of coffee. Coffee urns have their own advantages and disadvantages, but they remain a very popular way to provide coffee for a large number of people. They were invented by a British scientist named Sir Benjamin Thompson, who disliked alcohol and tea equally and disliked the fact that they were such commonly used beverages at any kind of gatherings. He wanted to invent a way to be able to serve large amounts of good quality coffee before the invention of instant coffee, to soldiers in the Bavarian army. Before these kinds of urns, there had also been efforts made to try to brew coffee quickly for a large number of people in pressure cookers, but these didn’t produce good coffee as the temperatures would often rise above the boiling point of water, leading to the coffee becoming extremely bitter and scalded. In addition, it also proved inconvenient to filter out large amounts of boiling hot coffee into a filter, causing dangerous accidents and burns. No matter how harmless it looks, boiling water is extremely dangerous and can lead to some serious burns that can smart for weeks. Even today, coffee urns are known to over-extract coffee if you add the coffee grounds in the same proportion as you would use for any other type of brewing method. This is why it is extremely important to use a specific uniform size of grinds when you add the coffee to the metal filter. You will need to experiment with the flavor of the coffee to see if it is over-extracted or bitter and make changes if need be. Last year around Christmas time, I received a Moka pot as a gift. It wasn’t the first time I have owned a Moka pot, but it was a special gift and I was determined to use it. I began to religiously make a cup of coffee every morning, and I got attached to the process of making coffee. It is an art and a meditation that I have begun to enjoy, from grinding the coffee beans using a simple mortar and pestle or a manual grinder, to pouring the freshly brewed coffee into my cup. All along, I was quite pleased with the process itself until I had a guest over. I wanted to make good quality coffee, none of that Folger’s coffee crystals, for three of my friends. That is when I realized my 2-cup Moka pot would simply not suffice. I needed something bigger with which to serve any guests that might come over. I made two cups of coffee at a time, then rinsed out all three of the Moka pot chambers and repeated the process. This worked fairly okay because I only had to make four cups of coffee. But the time soon came that I had to think of another option. I had invited a few friends for a party, and I knew that I’d have to make them coffee when they woke up the next morning. I couldn’t spend all morning rinsing and refilling and using my Moka pot. I hunted about and found that a friend had something called a coffee urn. Now up until recently, I had assumed that a coffee urn is simply a vacuum-thermos container that you fill up with your good ol’ Folgers milkshake: sugar, milk, water and Folgers instant coffee, that you can then carry with you to picnics and barbecues. I assumed this was a typical suburban staple, used by neighborhood parents at potlucks and baseball games. I was wrong. A coffee urn is an extremely useful percolator for coffee that brews your coffee about half an hour before you need to use it. You can’t really carry it around, and it’s meant for use in restaurants and food service establishments. This was a pretty standard way of serving coffee back in the day when a family would regularly invite and entertain up to twenty guests in their home. Even today, a lot of churches and community centers require the use of an urn to provide coffee for up to fifty people. Coffee urns are also provided on rent for children’s birthday parties where the adults need a beverage of their own, or even at weddings with fifty or so guests. Why Coffee As A Party Beverage? The reason for this ubiquity of coffee at most parties and get-togethers during the day is that it is a universally preferred beverage. According to various studies, close to 80% of all Americans drink coffee every single day making it the most popular beverage in America. There are many reasons for this. Firstly, and most importantly, as claimed by scientists, coffee is addictive. Although it is definitely not nearly as addictive as any of the illegal drugs out there, since it doesn’t create too much physical dependence, the psychological and mental addiction is very real. The main drug in coffee that affects the brain causing this so-called addiction is caffeine. Caffeine works in your neural pathways in a significantly milder but similar way to amphetamines, or any of the other more addictive dangerous drugs. 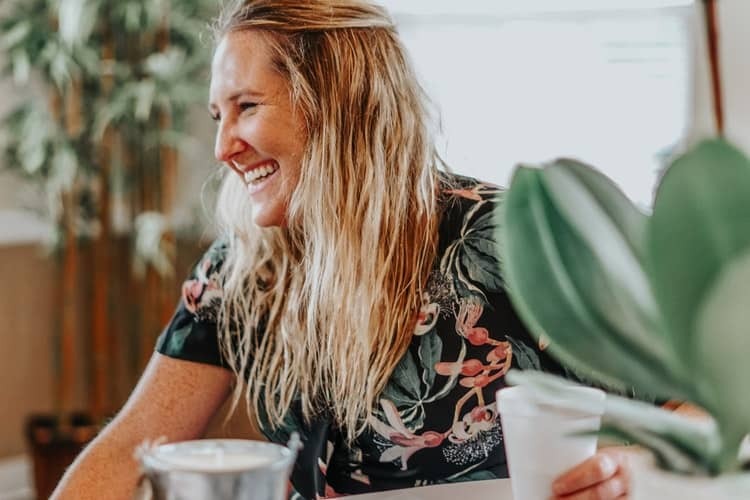 When people say they can’t function without their morning cup of coffee and need it to be able to get through the day, it turns out they are actually kind of telling the truth. This is because caffeine negatively affects the quality of sleep you get. Caffeine remains in your body for up to six hours after you consume it. This means that if you have an evening cup of coffee at about 4:00 pm to get through the last stretch of your workday, it will remain in your body until 10:00 pm and affect the quality of sleep you get. If you are young, sleep may come easily to you. Which means there are a lot of youngsters who claim that they can go to sleep even after consuming coffee immediately before. However, your body won’t go through its sleep cycles naturally. You may miss out an adequate number of cycles of REM sleep or deep sleep, leaving you feeling groggy and sleepy when you wake up the next day. This deficit is immediately noticeable when you aren’t as functional the next day until you drink a cup of coffee and your body and brain are jolted into action from the caffeine in it. This cycle continues until you stay off caffeine and reduce your dependence on it by getting a healthy amount of sleep every night. This is the reason doctors advise that you must stay away from coffee after 3:00 pm, and switch to green tea or decaf if you really are craving a beverage, both of which have significantly lower amounts of coffee and won’t affect your sleep. Another reason people prefer coffee over most other beverages is that it’s easy to customize it to suit your preferences. Not everyone, especially not adults, will be able to chug down a whole glass of punch, which is full of sugar and artificial fruit flavors. But everybody can enjoy a steaming hot cup of coffee, and customize it as they please. Whether you have a sweet tooth, or you prefer bitter beverages, whether you wish your beverage to be smooth and milky, or you prefer it strong and flavorful, whether you prefer hot or cold beverages, or like to add different flavors to it, coffee is the answer for you. It is always accessible and always convenient. Which brings us to the third reason why Americans love coffee so much: it’s delicious! And if you don’t think a certain type of coffee is tasty, you can change it to suit your preferences as you please. No other drink, including tea to a smaller extent, is as customizable as coffee. Whatever your opinion on Starbucks, you can’t deny that they have really changed how we all see coffee. From frappuccinos to dark, cold brew black coffee, they really provide no excuse for someone who may be reluctant to try out coffee. With added options like whipped cream, condensed milk, and all kinds of added flavor shots from hazelnut to pumpkin spice, there is nobody who doesn’t have a strong preference for their favorite type of Starbucks coffee. 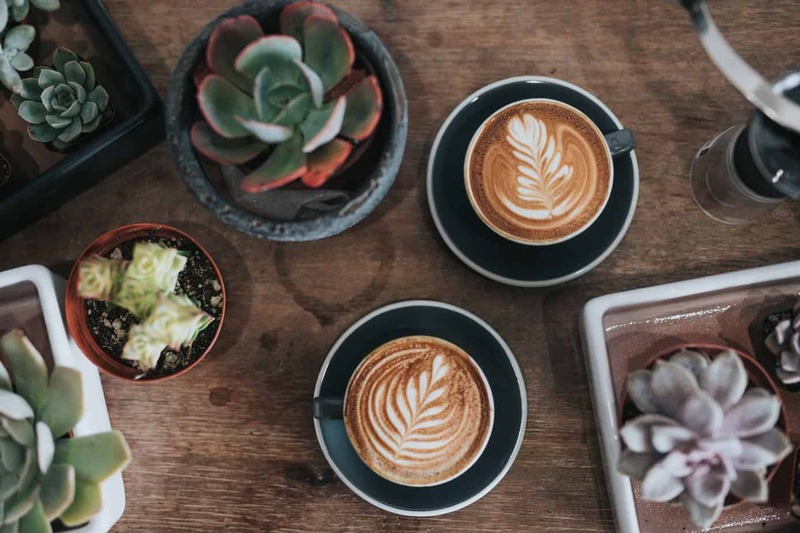 So it really is no wonder that coffee has become as popular as it is, to the point where it is almost an expectation to find it at any event, whether formal or informal. Buying the perfect type of coffee maker that will cater to more than a handful of people is always an asset that you can make use of throughout your life. The coffee urn that belonged to my friend, that I borrowed for my own little party, was passed down to her by her mother. It was a very high-quality urn that had been purchased in the 80s, and therefore was a very quintessentially 80s shade of avocado green. It had survived several moves across the states, had made its way into my friend’s tiny apartment and was now regularly used for her church events. So if you are considering buying a coffee urn for yourself, read on and we can show you which urns will get you the best deals for your buck. No matter what kind of coffee you enjoy, the basic process of coffee-making remains the same. Coffee needs to be ground to a specific size, then infused with water to turn it into a beverage, and then the grounds need to be separated from the water so they don’t end up in our mouth. 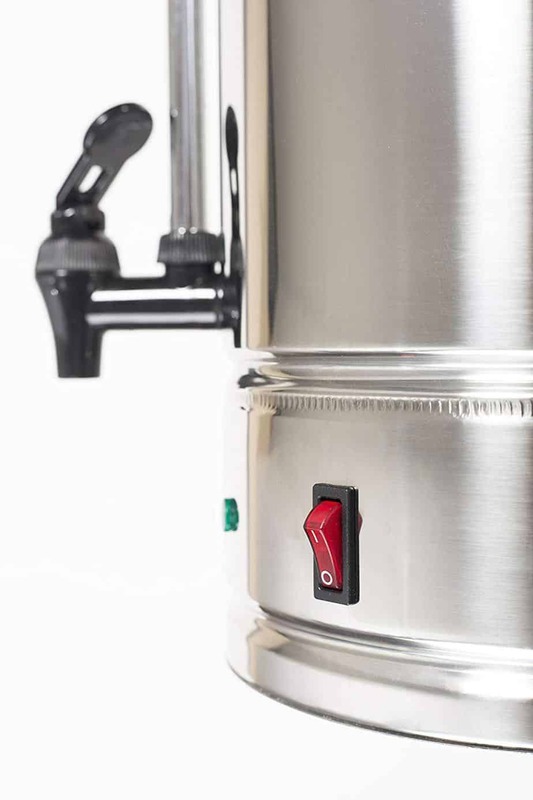 The mechanism of the coffee urn is easy to understand if you already use any other type of brewing process that uses percolation to infuse the coffee grounds in the hot water, such as a Moka pot. A coffee urn is primarily a large pot that works on electricity, that can hold a large amount of coffee, depending on the size you wish to buy. The bottom chamber is meant to be filled up with water. The quantity of water will depend on how many cups of coffee you wish to brew, and there will be an indicator or markers along the side of the urn telling you how high the water level needs to be for the desired amount of coffee. However, the water level must never rise so high that it reaches the metal coffee filter that is placed on top. This will damage the coffee you are trying to make, and sometimes damage the urn itself too. 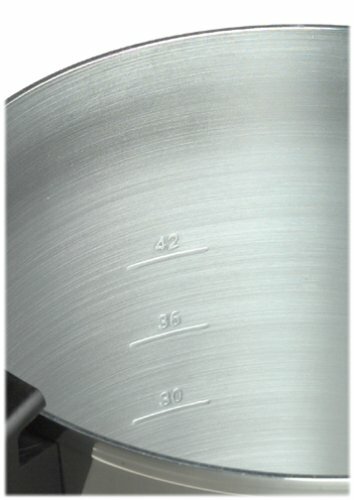 There is a thin metal tube that is placed vertically in the middle of the urn and adjusted. This tube runs all the way down through a valve in the bottom of the chamber, and boiling water will rise through this tube to the top. In addition to this tube, you will need to place a metal coffee filter on top after adding the desired quantity of water and adjust it so it screws in tight and doesn’t move. This filter will have pretty large holes compared to most other brewing methods. This is to ensure that the water doesn’t get clogged up by the coffee in the filter. However, this also means that you will have to use very coarse grounds of coffee with this device. This is for two reasons. Firstly, using fine grounds will over-extract the coffee and make it taste extremely bitter and inedible since the mechanism of this device requires the boiling water to move through the coffee in several cycles, as compared to other percolation-based brewing methods which only extract the coffee with a single cycle of boiling water. And secondly, finer grounds will be able to pass through the filter easily and end up into people’s cups, which is not a very desirable experience for anyone. Therefore, always buy and use only extremely coarsely ground coffee with a coffee urn. Once you have all the components in place, it is time to add the coffee. This is an important step to pay attention to, as adding the wrong quantity of coffee will either lead to coffee that is too weak or too strong for most people. Since this is a device that is going to provide coffee to multiple people, it is best not to experiment around and offer a standard medium-strong brew. The table below will offer a general guideline as to how much coffee grounds you will need to add to the top filter. Once you have added the grounds, you can close the lid and adjust it so it’s shut tightly. And that’s all! Now all you have to do is turn on the electricity, and if the switch on the urn is off, just turn it on. Most urns will have a green light that will indicate that the coffee is now ready to be served. Usually, it takes the same number of minutes for the green light to turn on as the number of cups of water you have added to the urn. Which means that if you added fifty cups of water to the urn, the coffee should be ready in approximately fifty minutes from the time you turn it on. Plan to make the coffee accordingly so that it is ready whenever you need to start serving. The way the urn works is that it will heat the water in the bottom chamber using electricity. With the principle of an airlift pump, similar to the way Moka pots work, once the water starts heating up, it will push water up vertically through the thin metal tube to the top of the chamber. Here, it will be filtered slowly through the coffee filter in place, where it will seep into the coffee grounds, beginning the extraction process. Once the coffee starts brewing, it will collect in the lower chamber, mixing with the water beneath. This finishes one cycle, and it repeats itself several times to create the perfect brew for the required number of cups. Once the water in the lower chamber starts to boil, you will begin to hear a bubbling noise similar to the way you’d hear in a kettle or a Moka pot. This is the point at which the device will turn the heat off, and turn on the green light that signals it is ready for drinking. This start-stop mechanism will ensure that the coffee you pour into your cups is always at the perfect temperature to drink, that is, steaming hot, but it won’t allow the brewing to continue by turning off when the solution starts to boil. 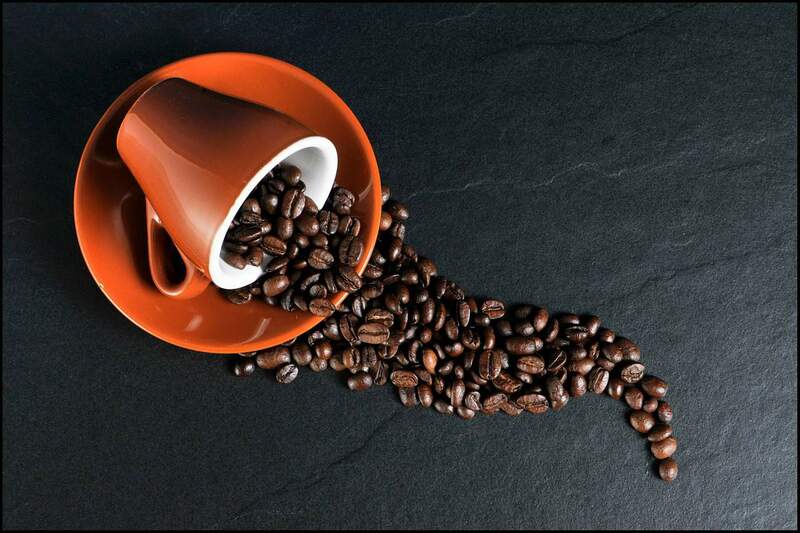 Once you have finished using your urn, it is best to wash it immediately to prevent the build-up of coffee grounds in the different components. If coffee grounds start to build up, it will affect the taste of your coffee the next time you try to make it. Make sure the urn is unplugged from any source of electricity. Simply separate all the components of your urn and wash them gently using dish detergent and lots of water. Do not immerse the whole urn in water or it will get damaged and become unsuitable or dangerous to use. There are many criteria that will influence your purchase. A coffee urn should be bought with the assumption that it is a lifetime purchase, as it won’t be used every day and won’t really be needed to get replaced regularly. Unless you end up breaking it, which is quite impossible considering it is a large metal drum made up of mostly metallic components, you should consider your urn as a one-time-only investment. First and most obvious criteria for buying a coffee urn is the size of the urn, based on how many cups of coffee you wish to make. There are many options depending on what kind of event you’re looking forward to. There are advantages and disadvantages for all the sizes. If you buy an urn big enough, you won’t have to keep refilling and rinsing out the coffee grounds in one event as the coffee won’t run out that easily. On the other hand, buying a smaller urn can be beneficial since it won’t require as much storage space, and it will be more economical as well. So the answer really depends on you. Choose the size according to how many people you know will need the coffee. For example, if it is a small office with only ten people, but all of them drink 4-5 cups of coffee a day, it is worth it to invest in a large urn that can hold 50 cups of coffee. Conversely, if you are buying it for a suburban children’s birthday party, and you know there will be mostly kids and not many adults, going for a small urn will be beneficial. This is the most important aspect of purchasing anything. How much money are you willing to spend? You might as well invest in a larger urn if you have the budget for it, since like I said, this is a one-time investment and you won’t be looking to upgrade it anytime soon. However, pricing has more nuances to it. For example, how good is the metal filter in the urn you’re looking to buy? If you prefer finer coffee grounds but you don’t want those grounds in your cup of coffee, you might want to look into investing in some paper filters. These will prevent the smaller grounds from seeping into the coffee in the lower chamber. It is worth it to invest in some paper filters so you don’t have to compromise on the quality of the coffee. 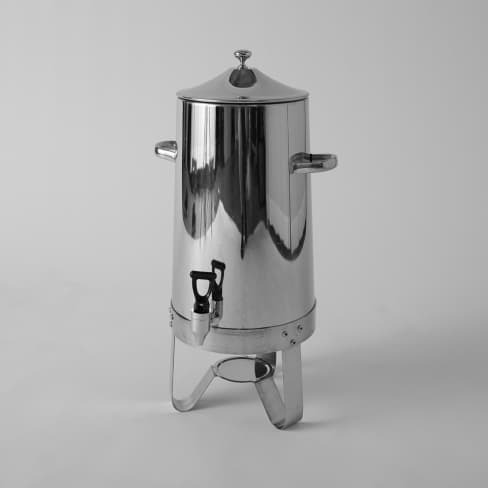 Are you buying a coffee urn to be able to serve coffee in one go? Or are you looking for something you can keep in your office all day, so all your employees can come and sip on as much coffee as they wish to throughout the day? How much time you will be using the coffee urn will be a necessary criterion to look into, as that will affect specific features you will want to explore. For example, some coffee urns come with double-sided insulation to keep the coffee inside hot. Some of them can even come with a start-stop mechanism that will turn the machine off when the coffee starts to get too hot, but keep it running so it remains hot for as long as you need it. In addition, some people dislike the burnt taste of coffee when you leave it in the urn for too long. If you are particular about avoiding this type of taste, that will influence what kind of urn you will go for. If you are willing to pay a little more money and do a little more research, some coffee urns will come with special features that will add to the convenience of using them. Some will sound a soft alarm when the coffee is done brewing, while some will have auto-shutoff or keep-warm features. It all comes down to your own preference. Do you want a no-fuss, easy to use system that can be operated by anyone and has no unnecessary learning curve? Or are you the kind of person who wants to get the best of the best and care about certain features that you have need of? One of the standard things to look for when buying any device off the market, it is important to look for any kind of guarantee or warranty offered by the seller. In case something goes wrong, you don’t want to have to throw away such an expensive machine just because you did not look for warranty information before purchase, and repairing it will cost far too much money. Most coffee urns will come with some guarantee on the cover. Keep the bill so in case things go wrong, you will be able to prove that this is a recent purchase. Make sure the seller fills out the required information so that you can be assured of good quality service in case things take a wrong turn. Most warranties, on the other hand, will only cover manufacturer defects. It is still a good idea to hold onto this information, in case you need it. There is no point in buying a very expensive product if it breaks within no time and you are unable to repair it within the warranty period or conditions. Now that we have dug deep into the specifics of how to buy and use a coffee urn, let’s explore the available options we have on the market. You can obviously pop over to your closest Walmart and buy the first model you see, but you might be surprised at how much cheaper these devices can be on Amazon, and how many more options you have to choose from. Buying online has a ton of advantages, and no matter how big or small a function you want to provide coffee for, you won’t have to compromise on your preferences. In addition to this, you will find better prices online as well. Whether you are looking to gift a coffee urn to someone who has bought his/her own restaurant or office, or you wish to buy it for yourself and your convenience, we have provided some suggestions below, feel free to read the reviews and further suggestions on the site itself to make a well-informed decision. We have arranged these options in order of size, so feel free to scroll down to your preferred size to find our recommendation. This perfect stainless steel urn is great for bigger events like parties, potluck, and barbecues, with a 50 cup capacity. It can also be used in waiting rooms, business meetings or conferences and all sorts of social gatherings. It is double-insulated, makes 50 cups and also comes with a drip tray that collects liquid at the bottom to prevent a mess. It also has a dishwasher safe basket, so you don’t have to worry about scrubbing it down after every use. Serving crowds at festival stalls or hosting your own offbeat wedding? 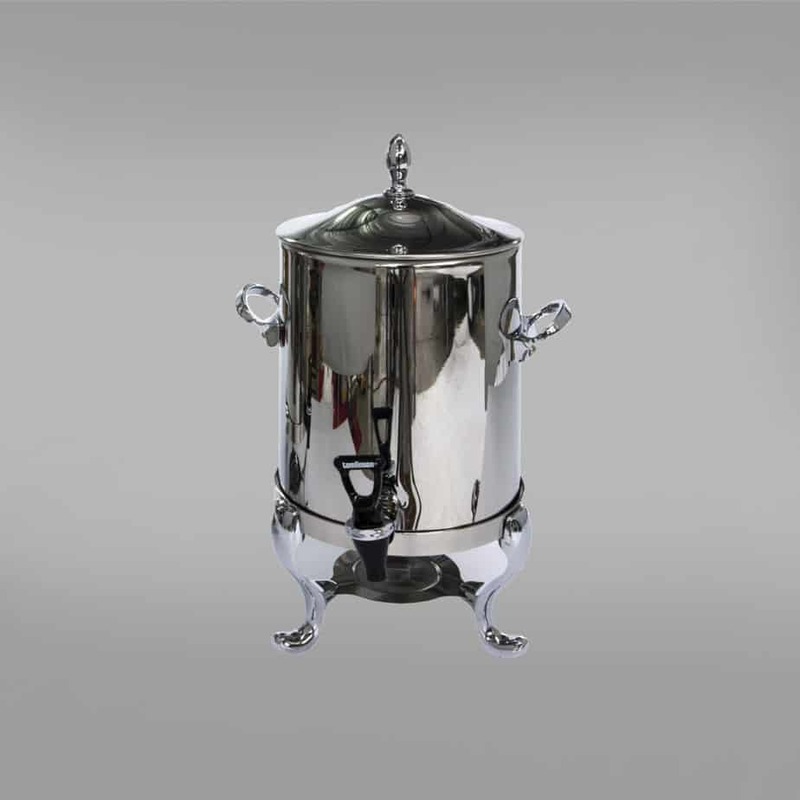 There is no need to rely on caterers if you buy this stainless steel, sturdy, sleek and practical urn. With a cup trip handle for easy dispensing, ready light that shows you when your coffee has finished brewing and a “keep warm” setting that won’t let your coffee get cold, this model is perfect for hosting larger all-day events. If you are choosing an urn for a restaurant or a large set of cubicles in your office, look no further than this lasting, high-quality model with high-grade stainless steel along with critical safety features to keep your staff and your guests safe. 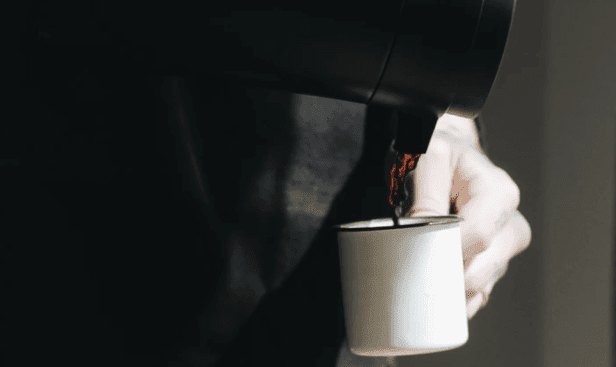 With a 100 cup capacity, make sure you never run out of coffee to serve. It has a dripless faucet design, insulated lid and handles and due to its double-insulation technology, touching the stainless steel sides won’t scald your hand. It is the perfect device for someone who is working at events that attract people who require lots of coffee. Buy it here! If you are new to the world of coffee-making, then simply going out and buying yourself a coffee urn won’t be enough. You will have to invest in some other accessories that will make coffee-making a simpler and better process for you. Make sure you buy a coffee scoop if you don’t already have a kitchen measuring cup. A coffee scoop is useful as it will give you the right information about how much certain coffee grounds measure or weigh. You don’t want to land up with only a spoon in your hand on the day of your important event or business meeting, having to go off on a hunch and end up with bad tasting coffee. So, remember to invest in a coffee scoop before your event. If you are using smaller grinds, invest too, in a paper filter that will make your coffee absolutely grit-free. You don’t want to end up with coffee grinds in your mouth. 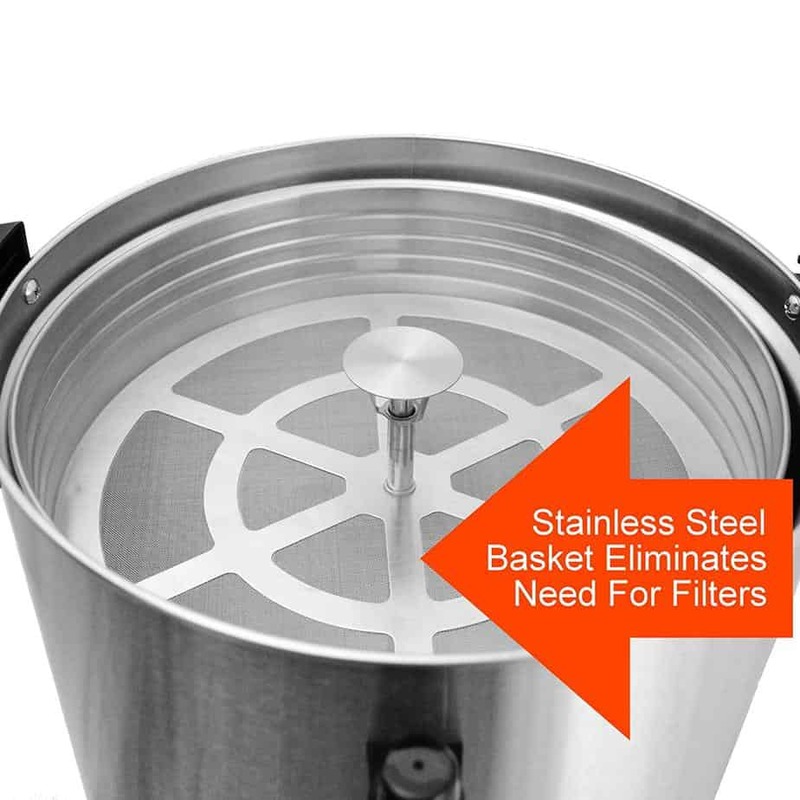 If you do not wish to buy paper filters, either because of the mess or for the environment, buying a good quality permanent filter that you can keep in your coffee urn will be a good investment to go along with the urn. Thirdly, and lastly, I would highly recommend being able to grind your own beans. Buying store-bought coffee grounds affect the quality of coffee you are drinking as the coffee is often not vacuum-sealed to prevent it from going stale. Switching to freshly ground coffee will change your experience of drinking coffee, and I am sure you won’t want to switch back to old, stored-away bags of coffee that were ground months ago. 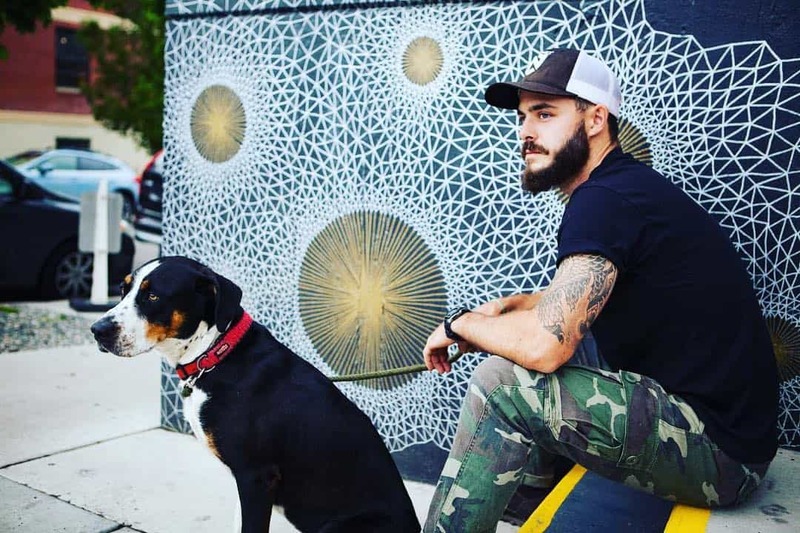 You can get manual grinders in the market, but if you are willing to invest in a grinder that does your work for you automatically, it will add to your convenience significantly. Make sure you do all the research you need to before making such a huge purchase. Turning a private experience of coffee brewing into a public, group activity may make some people turn their nose up, but it’s definitely an experience that you will be proud of when folks are loving your brew! There is nothing quite like hosting an event or meeting and everyone having their caffeine fix, all because of you. This is surely an investment that will improve the experience your guests, employees or coworkers. We hope this article was useful and that your next event is as awesome as it is caffeinated!